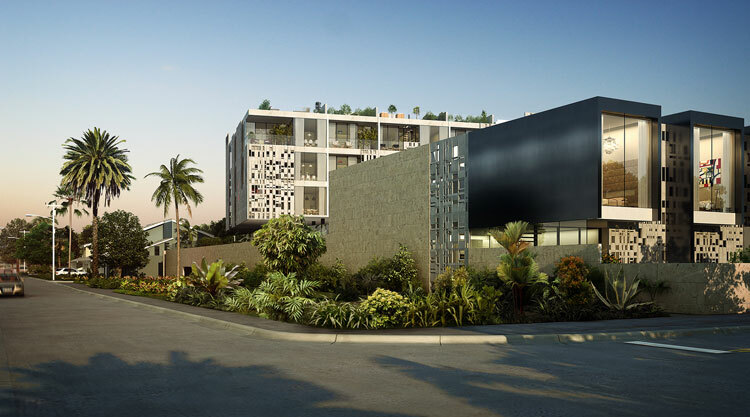 1550 NE 26th Street, designed by award-winning Architect Rene Gonzalez, will be located on five acres just east of Wilton Manors’ thriving arts and culture district. 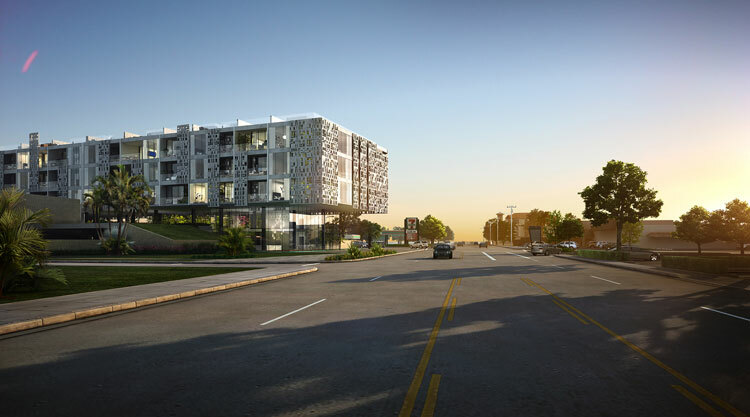 The project will be located on the property currently occupied by the Center for Spiritual Living, bordered by NE 26th Street on the north and NE 24th Street on the south, between NE 15th and NE 16th Avenues. 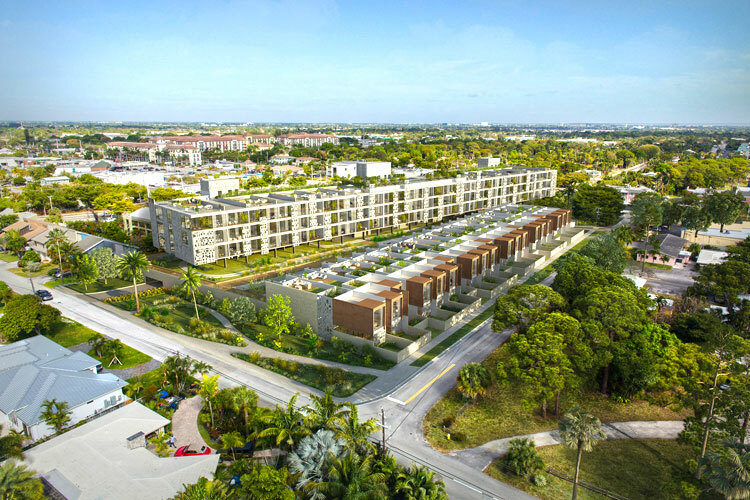 A combination of two-story villas with rooftop terraces and luxury condo residences will offer a modern minimalistic design, and a feel of openness and light surrounded by expansive landscaping. 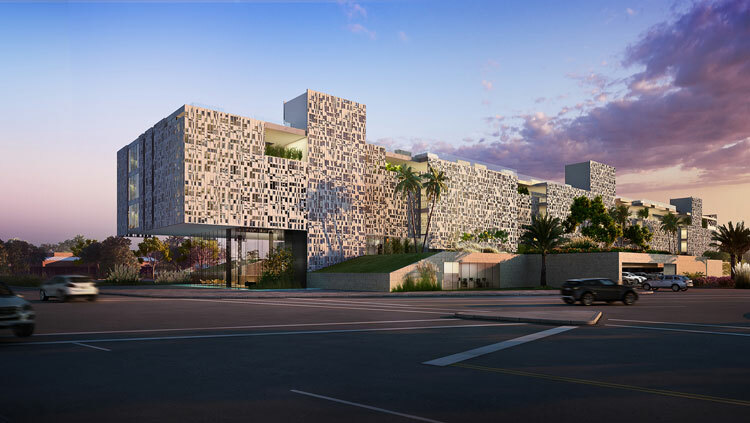 A striking two-story lobby with indoor hanging gardens will open onto NE 26th Street. On the east side, a lush park with walking paths will welcome neighbors, complemented by a hammock park on the southeast side of the property. The parking garage will be concealed under a raised garden. The developers are in the process of obtaining the necessary approvals from the City of Wilton Manors before construction can begin.